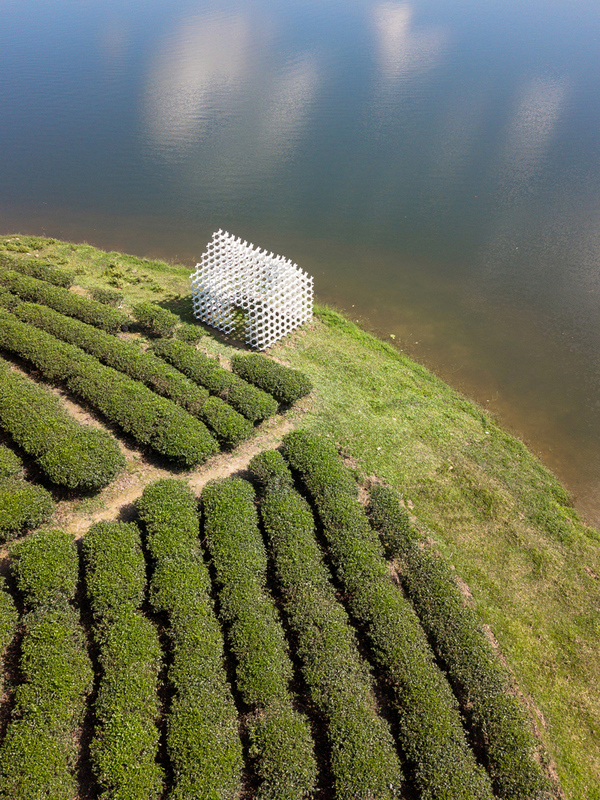 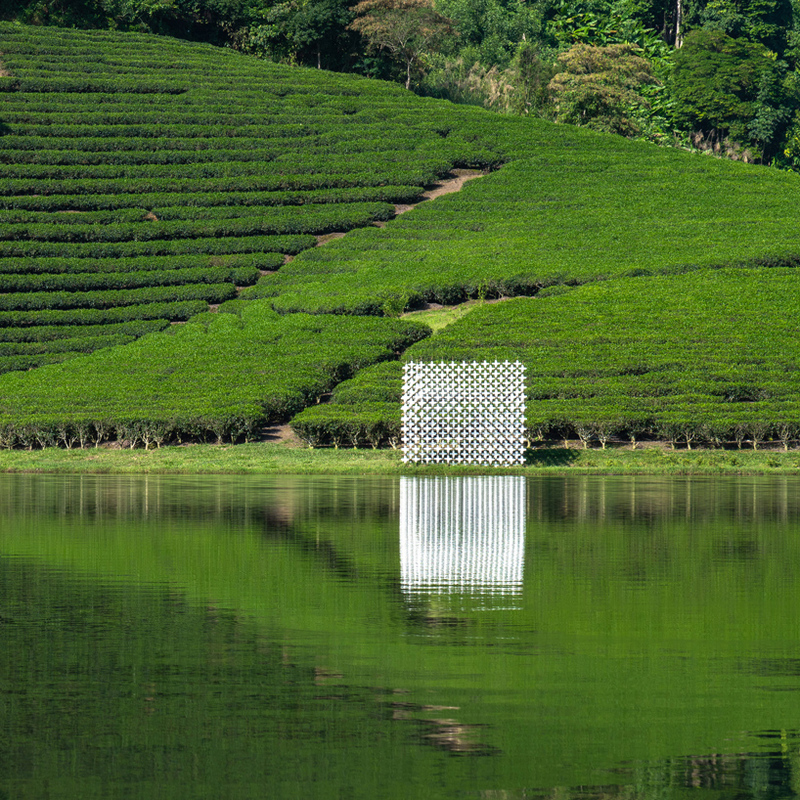 the ethereal thanh chuong green tea oasis, nestled among the sweeping tea farms of northern vietnam, is an assemblage of 2,000 slotted wooden components. 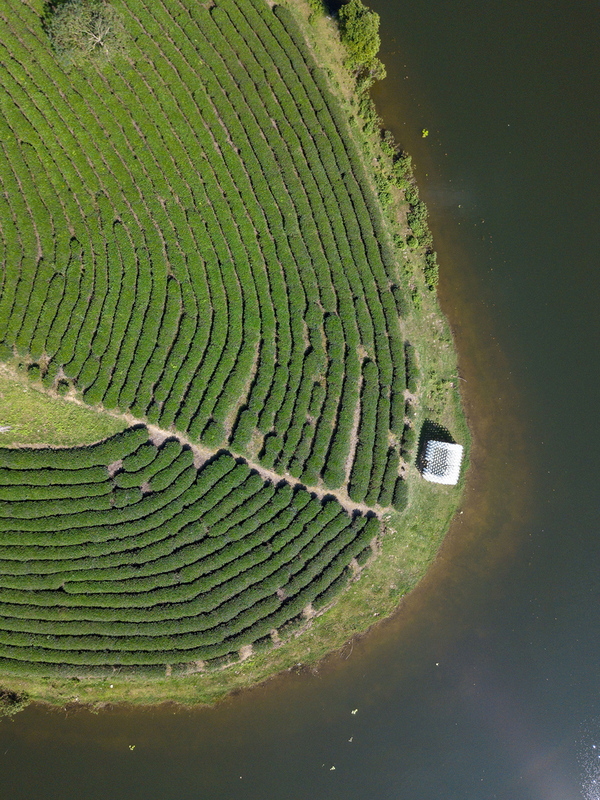 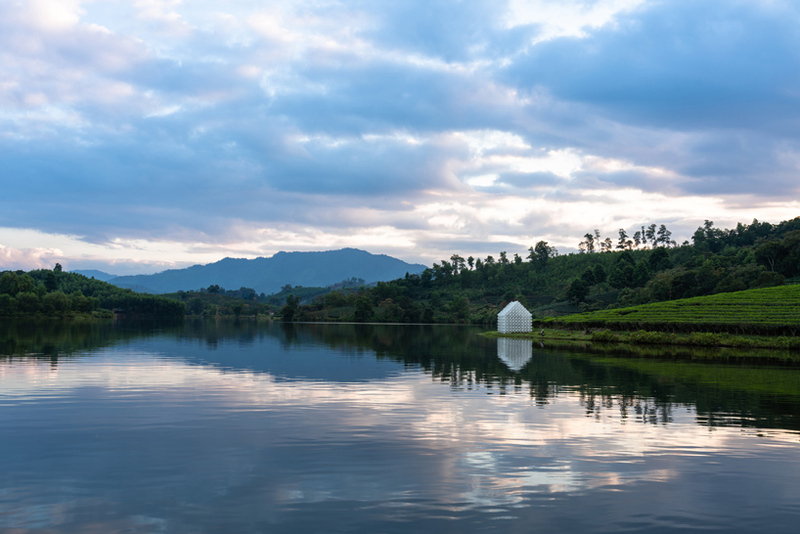 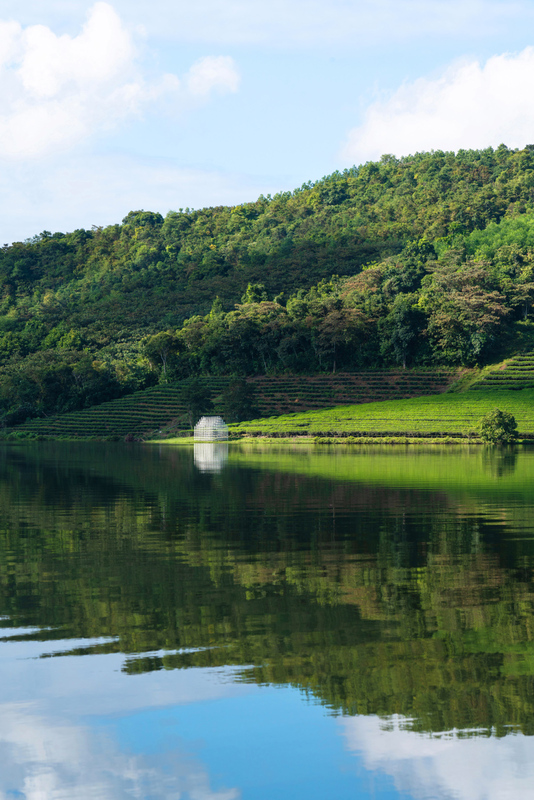 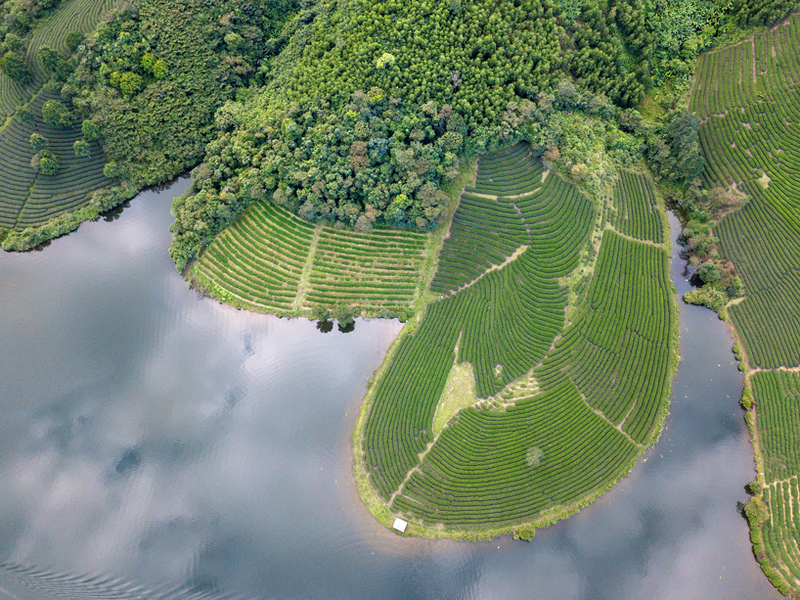 the rural district is notably characterized by a lake made up of a collection of small islands cultivated for the farming of tea leaves. 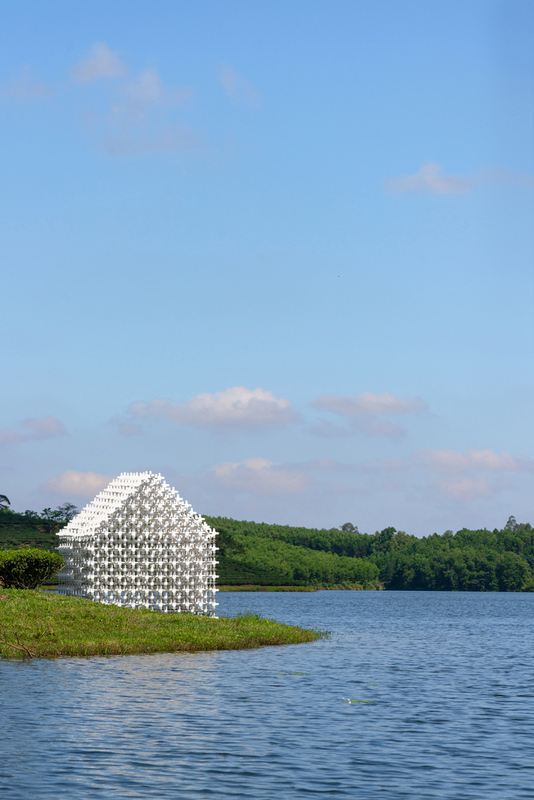 the project, entitled module+, was designed by nguyen khac phuoc architects (NKPA) together with dang+partners and was fabricated with great support of the local people. 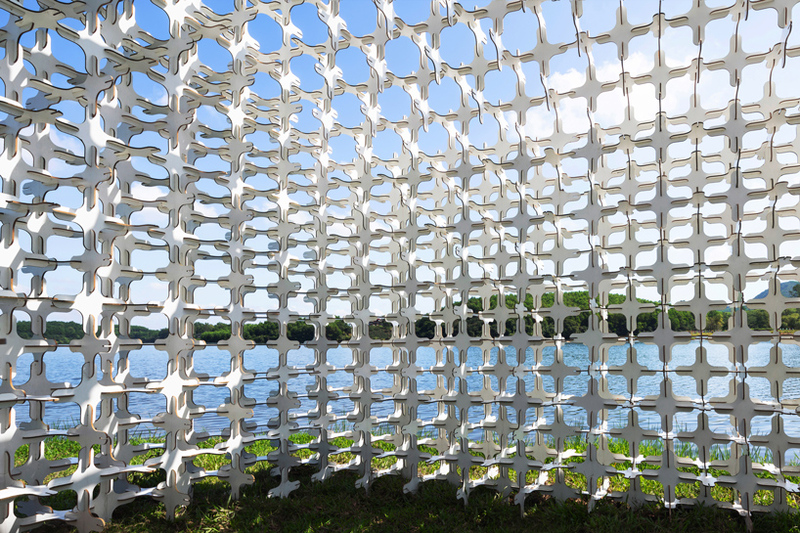 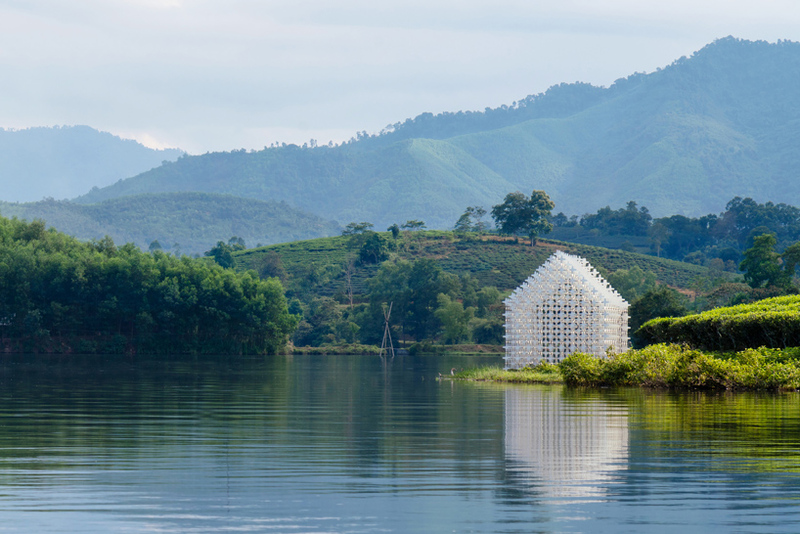 the structure covered just six square meters, introducing a place of retreat and gathering for farmers, and an attraction for tourists exploring the pastoral islands. 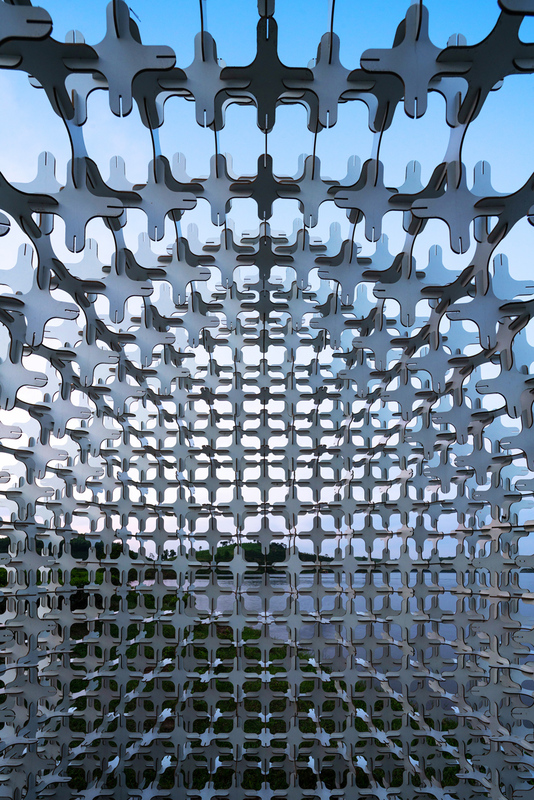 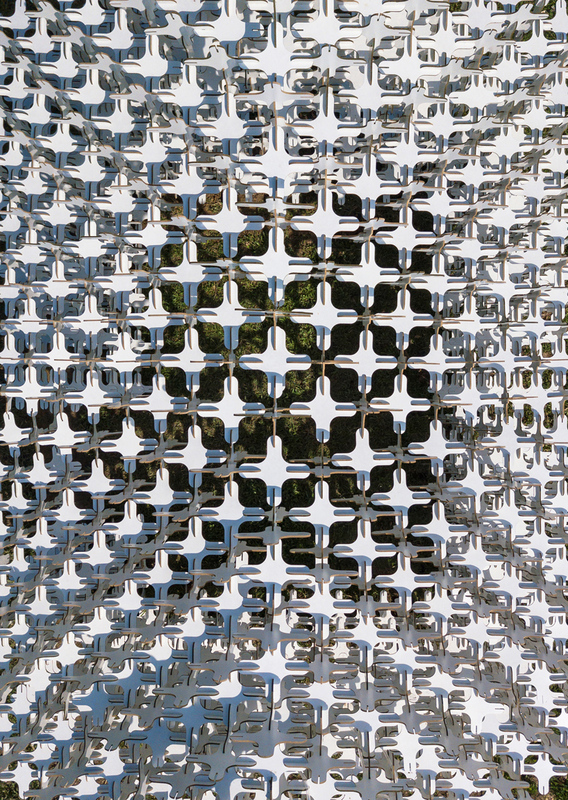 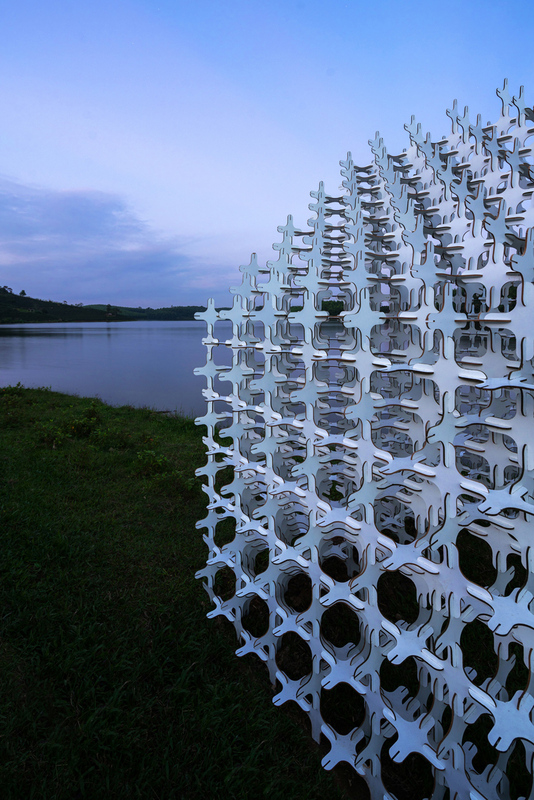 nguyen khac phuoc architects (NKPA) and dang+partners developed an efficient system of fabrication comprising a single repeated element. 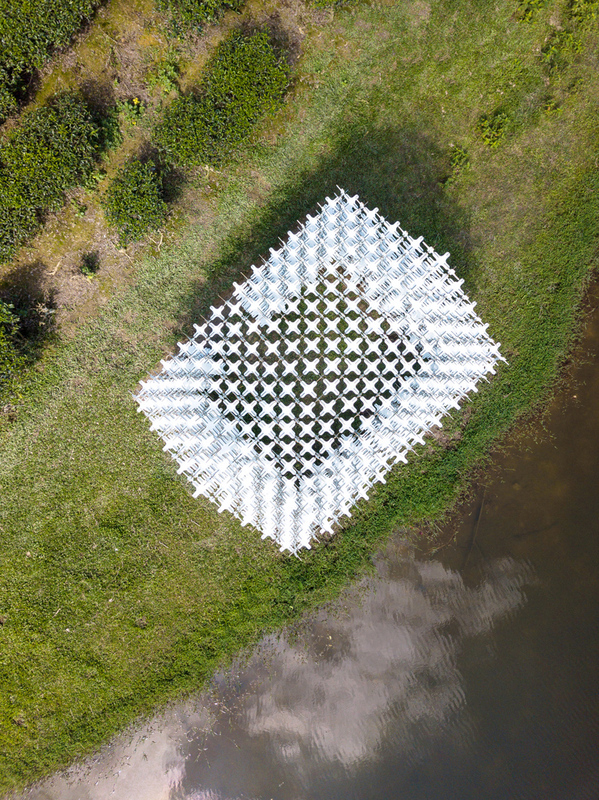 module+ is comprised of 2,000 filleted cross-shaped wooden components perpendicularly slotted together and assembled without the use of adhesives or secondary fixtures. 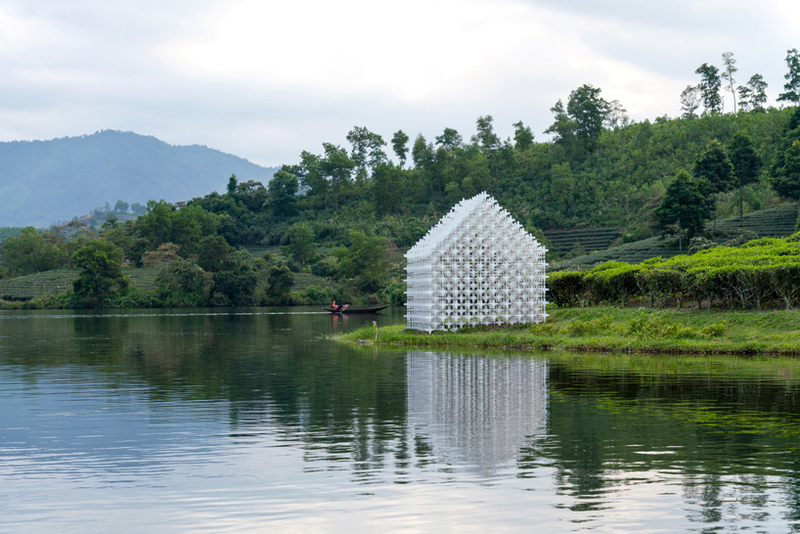 the self supporting structure was erected with the help of local people in just three days. 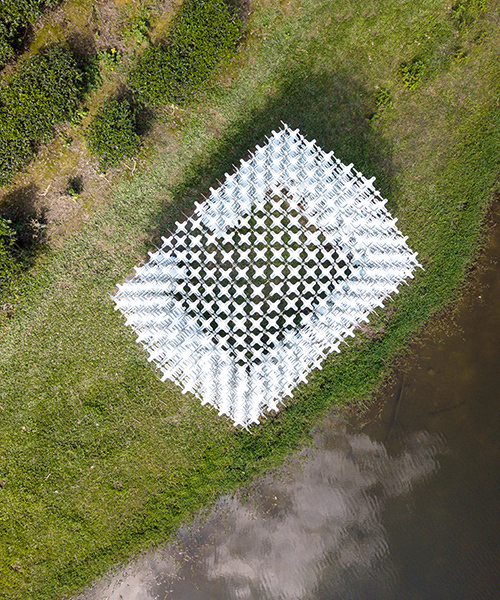 these components were initially transported by boat and ultimately assembled without affecting or disrupting the natural surroundings.